The narcissist knows to tell right from wrong and is aware of social norms and laws. Lacking empathy, he simply doesn’t care enough about others to act properly or to refrain from harmful action. Should the narcissist be held accountable for his actions? Narcissists of all shades can usually control their behaviour and actions. They simply don't care to, they regard it as a waste of their precious time, or a humiliating chore. The narcissist feels both superior and entitled – regardless of his real gifts or achievements. Other people are inferior, his slaves, there to cater to his needs and make his existence seamless, flowing and smooth. The narcissist holds himself to be cosmically significant and thus entitled to the conditions needed to realise his talents and to successfully complete his mission (which changes fluidly and about which he has no clue except that it has to do with brilliance and fame). What the narcissist cannot control is his void, his emotional black hole, the fact that he doesn't know what it is like to be human (lacks empathy). 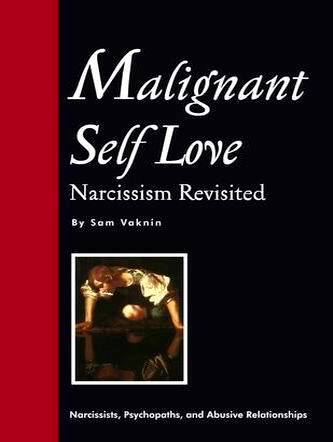 As a result, narcissists are awkward, tactless, painful, taciturn, abrasive and insensitive. The narcissist should be held accountable to most of his actions, even taking into account his sometimes uncontrollable rage and the backdrop of his grandiose fantasies. Admittedly, at times, the narcissist finds it hard control his rage. He simply doesn't care about the other person sufficiently to refrain from action. He simply doesn't care enough about society and others to refrain from confabulating. To summarize, narcissists should be held accountable for most of their actions because they can tell wrong from right and they can refrain from acting. They simply don't care enough about others to put to good use these twin abilities. Others are not sufficiently important to dent the narcissist's indifference or to alter his abusive conduct.